The Cypriot reached a career high ranking of No. 8 in 2006. Marcos Baghdatis, who fell to Roger Federer in the 2006 Australian Open final, has committed to play the ATP World Tour 250 event this July. Baghdatis is the winner of four ATP singles titles, his most recent trophy coming at the 2010 Apia International in Sydney after defeating Richard Gasquet of France 6-4, 7-5. He has notched victories against top players such as Federer, Rafael Nadal, Andy Murray and David Ferrer over the past five years. He has also has seven runner-up finishes. The Cypriot veteran reached a career high of No. 8 in the world in 2006 after becoming a semifinalist at the 2006 Wimbledon Championships and finalist in Melbourne at the Australian Open earlier that year. The tournament will run from July 25-Aug. 2 at Atlantic Station and is the first stop on the Emirates Airline US Open Series. 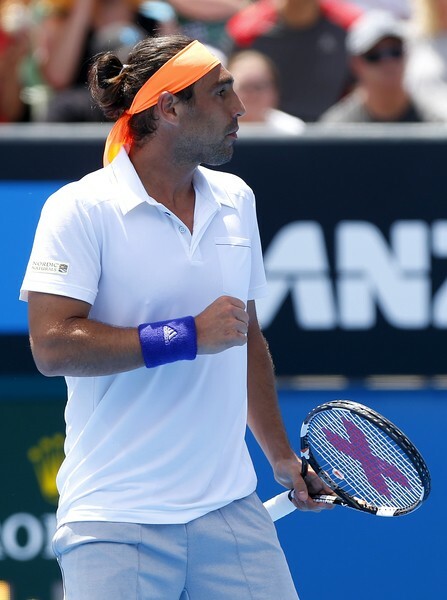 Baghdatis’ serve and forehand continue to be his biggest weapons on the hard courts. Since dropping outside of the Top 50 in 2013, he has seen some of his best results coming at the Challenger level, finishing 2014 with a 22-2 record and winning four titles, allowing him to finish in Top 100 for the tenth straight year. Prior to arriving on the ATP World Tour, Baghdatis was a world No. 1 junior in 2003, winning the Australian Open juniors title and finished as a runner-up at the US Open juniors in 2002 and 2003. He finished his junior career with nine titles. “The addition of Marcos Baghdatis to our player field really proves why our tournament motto is ‘World-Class Field, World-Class Fun,’ Eddie Gonzalez, Chief Business Officer and Tournament Director for BB&T Atlanta Open, said. “I have thoroughly enjoyed following him over the years and I am sure the Atlanta fans will enjoy the quality of tennis he brings to Atlantic Station.